Palestinian reality is debated across the globe. However, often by international academics, journalists and politicians. The Danish House in Palestine has invited a number of Palestinians representing different outlooks and areas of expertise to share their perspectives. 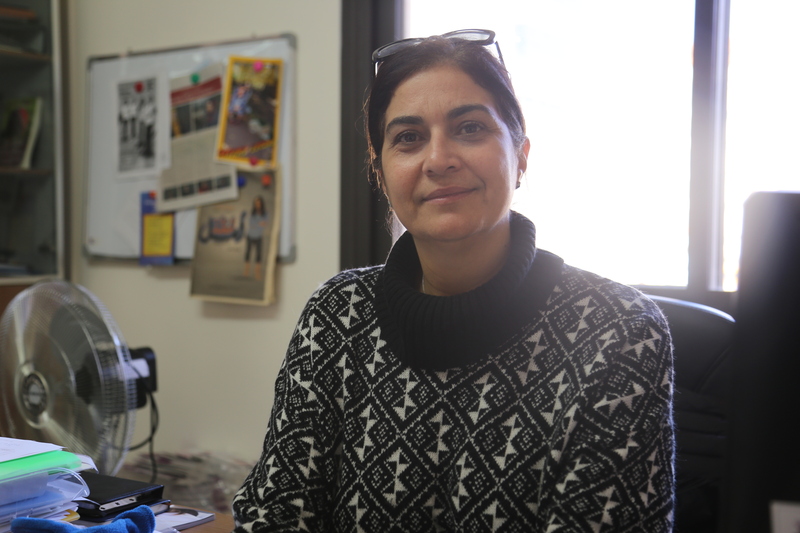 In January 2016 Director Maysoun Odeh Gangat from Radio Nisaa FM was interviewed. 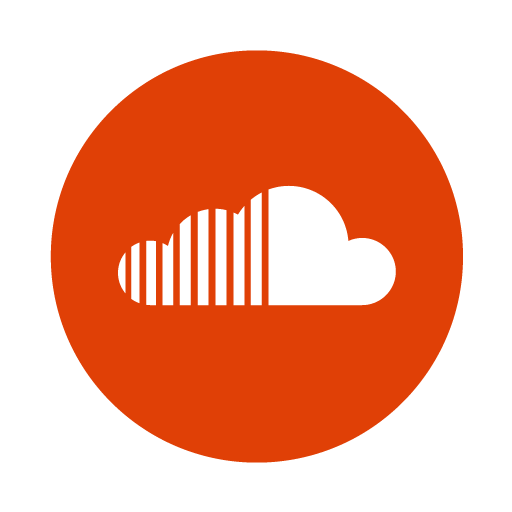 KVINFO - “One of the biggest signs of success for us is the fact that our radio station is being played on public transport, for example on the bus between Jerusalem and Ramallah. That means that we’re really reaching a wide audience,” says Maysoun Odeh. Synergos - Maysoun Gangat is enhancing connectivity and dialogue amongst women separated by walls and checkpoints about women’s rights with cultural sensitivity. Mother Jones - The West Bank just experienced its first economic upswing in years, but here’s another cause for hope: Palestine's first all-women’s radio station launched last week. 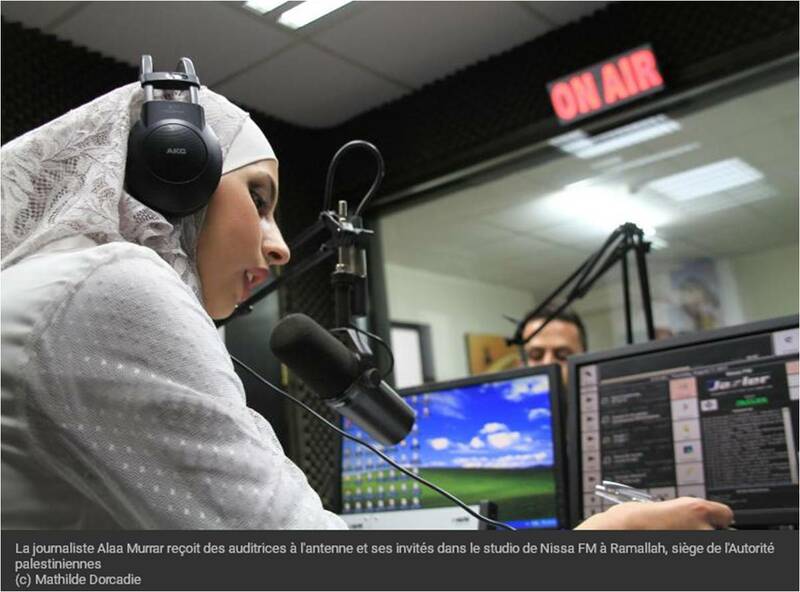 Nisaa FM—that’s “women” in Arabic—broadcasts a mix of news and entertainment from Ramallah in the West Bank for a few hours a day. REUTERS - From corner fruit stalls in Hebron to chic Ramallah ballet studios, Palestinian women are making their mark in business, some out of necessity and others looking to break the gender mould and pursue a dream. 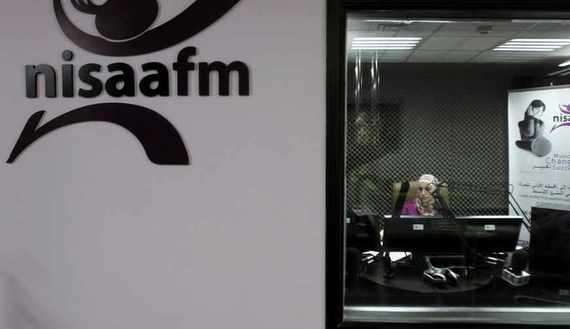 "We need awareness about being a businesswoman," said Maysoun Gangat, the founder and CEO of NISAA FM, which already ranks as one of Ramallah's top five radio stations. 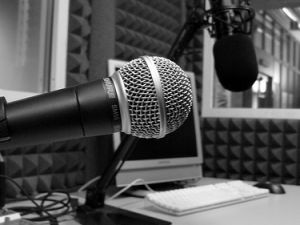 This Week in Palestine - "Upgrading the role and image of Palestinian women in the media requires that women take part in the decision-making process, change the mechanism by which media institutions handle women’s issues, and adopt a media approach that is more effective, realistic, and humanitarian when addressing women’s issues," says Nisreen Awwad, presenter of Nisaa FM's morning show Qahweh Mzboot. Al-Monitor - In the early years of the Palestinian Authority (PA), one of its biggest goals was to establish sovereignty over Palestinian land. This included what is below the ground as well as the skies above. While the fight over land has been the biggest challenge, Palestinians have been successful in capturing the skies by launching tens of local radio and TV stations, which reserved available frequencies and prevented the Israelis from occupying them as well.